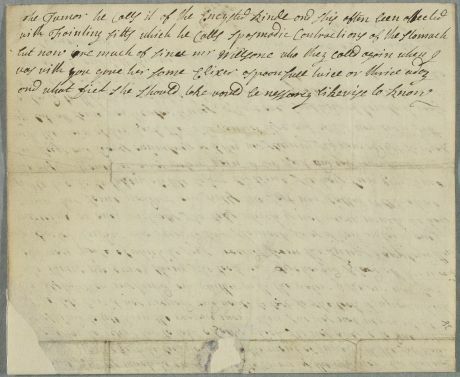 Letter from George Grame (or Graham) in Eyemouth regarding the case of his sixteen-year-old daughter Peggy. Addressed to John Ritchardson at the foot of Mint Close, Cowgate, Edinburgh. 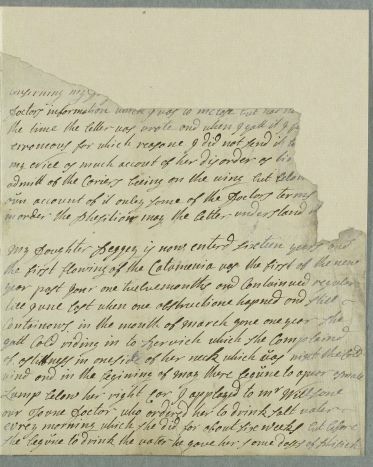 Letter partially missing. 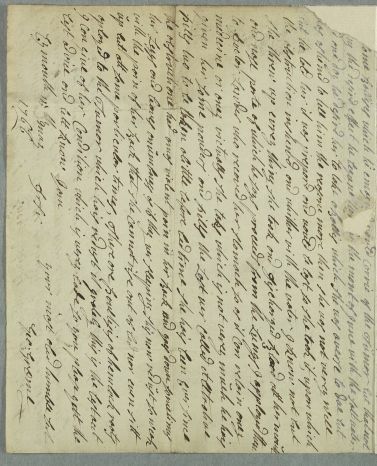 Summary Letter from George Grame (or Graham) in Eyemouth regarding the case of his sixteen-year-old daughter Peggy. 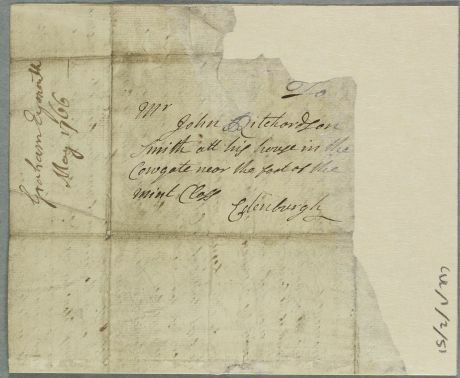 Addressed to John Ritchardson at the foot of Mint Close, Cowgate, Edinburgh. Letter partially missing. Case of Peggie Grame (Graham), who has menstrual problems and a tumour under her ear.